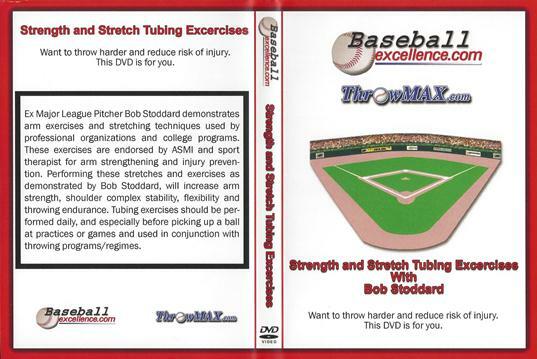 Ex Major League Pitcher Bob Stoddard demonstrates arm exercises and stretching techniques used by professional organizations and college programs. These exercises are endorsed by American Sport Medicine Institute and sport therapist for arm strengthening and injury prevention. Performing these stretches and exercises as demonstrated by Bob, will increase arm strength, shoulder complex stability , flexibility and throwing endurance. Tubing exercises should be performed daily, and especially before picking up a ball at practices or games and used in conjunction with throwing programs and or regimes.